Who Is Megan Fox Dating Right Now? 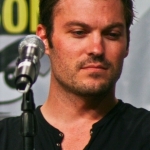 Megan Fox's partner is Brian Austin Green. Megan Fox has had 4 public relationships dating back to 2008. On average, she dates people 5 years older than herself. * Megan Fox and Shia Labeouf are the same age. * Megan Fox is 13 years younger than Brian Austin Green. 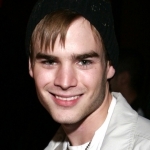 * Megan Fox is 2 years younger than David Gallagher.